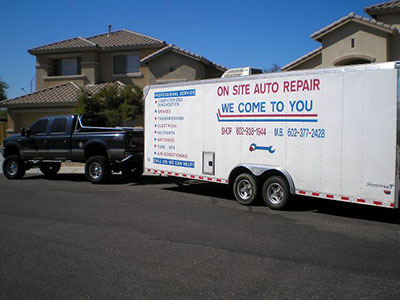 On Site Auto Repair will come to you for your car, truck or RV repair. No need to pay extra to have your car towed to a shop, On Site will perform the repair at your home or work, valleywide! Next time you are in need of any quick car repair, call On Site!